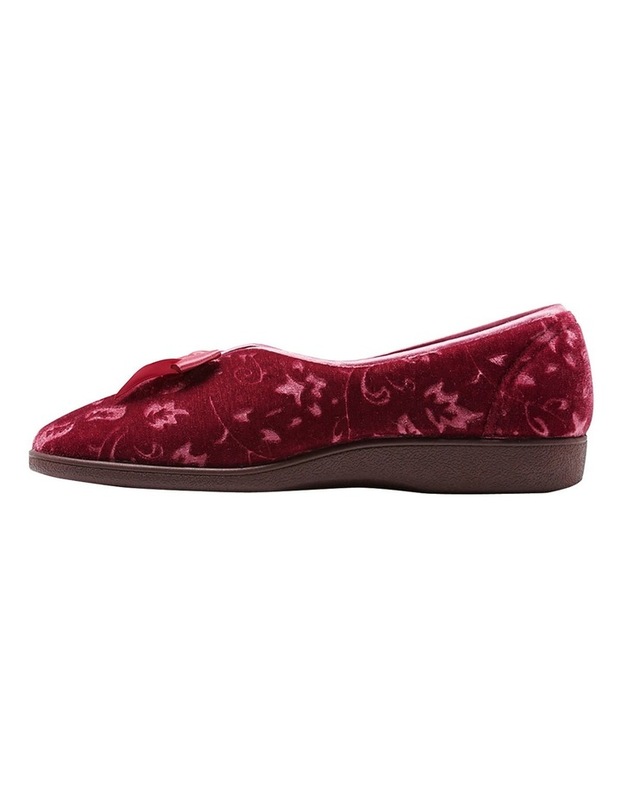 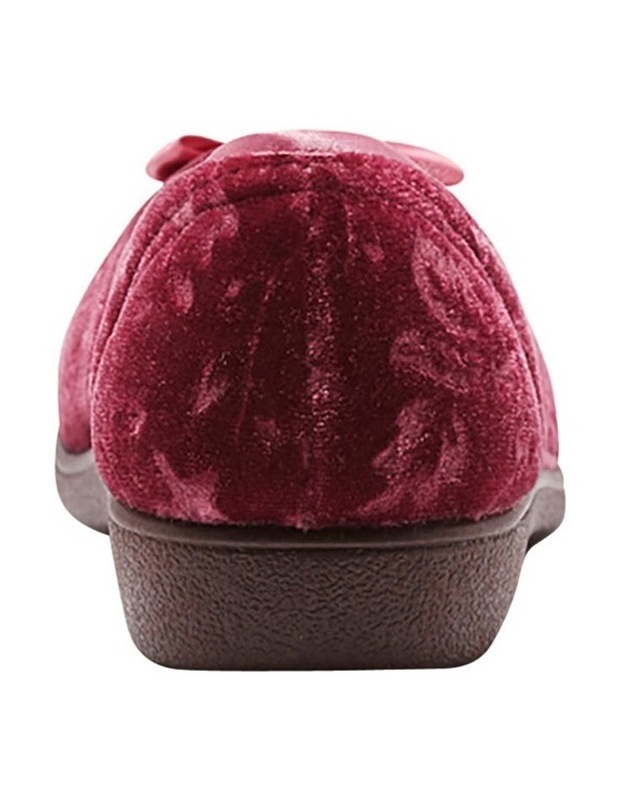 Classic slipper style, featuring soft velour fabric with floral embedded print. 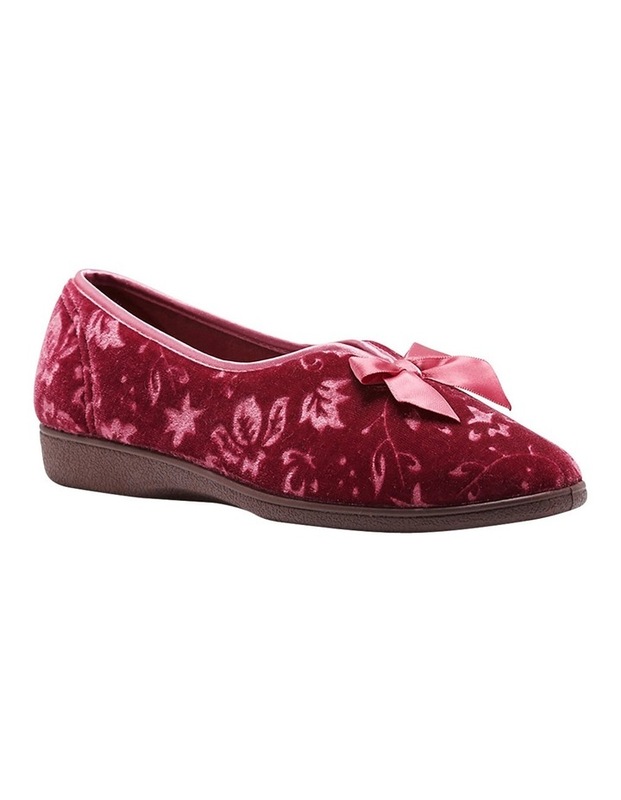 Brushed tricot lining and full rubber outsole. 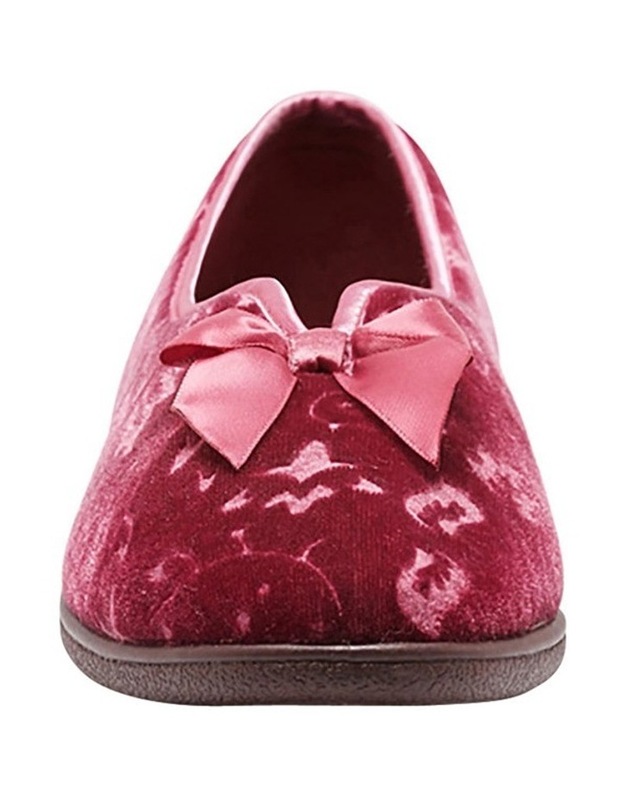 Pretty satin bow detail. 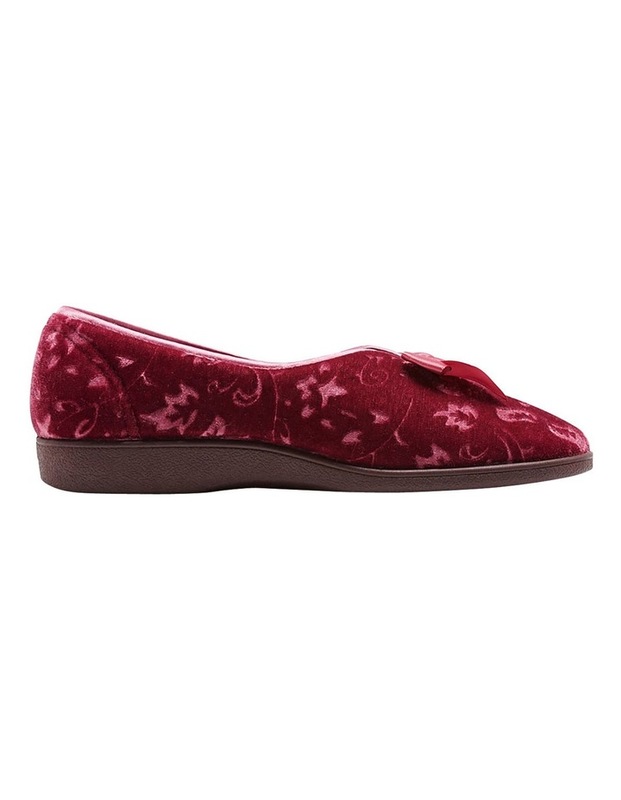 Outsole is a flexible and lightweight design.